 Iran, Aug. 29, 2018 - Claiming the United States is breaching a 1955 bilateral Treaty of Amity regulating economic and consular relations between Tehran and Washington, the Iranian regime has taken a case to the International Court of Justice filing a complaint against the U.S. for the Trump administration withdrawing from the highly flawed deal clinched by the Obama administration with the mullahs. In a recent UPI article, former MEP Struan Stevenson provides interesting feedback on the subject. “Here we have a rogue state who signed the nuclear non-proliferation treaty in 1970 but was found to be secretly developing nuclear weapons following the Iranian revolution in 1979, demanding justice in the international courts. The honorable former MEP refers to the 1988 massacre of over 30,000 political prisoners in Iran following a fatwa issued by Iranian regime founder Ruhollah Khomeini. As we speak the United Nations has at its disposable irrefutable evidence of this atrocity that is undeniably considered one of the worst crimes against humanity in modern history. “A ‘death committee’ of four senior officials approved all the executions. Mostafa Pour-Mohammadi, a member of that ‘death committee,’ was until mid-2017 President Hassan Rouhani's justice minister. When his part in the murders became known publicly, he was replaced by Alireza Avaie, who himself was a prominent executioner during the 1988 massacre, in his role as chief prosecutor in the city of Dezful. Avaie has been on the EU's blacklist for years. So, a regime that appoints a known criminal and executioner as its justice minister believes it can take a legitimate case to the International Court of Justice?” Stevenson adds. The Iranian regime is also known to launch atrocious crackdown in the face of increasing protests throughout the country as a restive nation seeks regime change. Iran’s regime also has a dismal report card in international relations, especially due to its use of terror and proxy groups. “This is a regime that is recognized as the godfather of terror worldwide and uses its network of embassies as terror cells, as evidenced by the arrest on July 1 of Asadollah Assadi, a diplomat from the Iranian embassy in Vienna. Assadi has been charged with plotting terrorist murder by handing over a bomb and detonator to two Iranian agents, instructing them to bomb a rally in Paris organized by the People's Mojahedin Organization of Iran (PMOI or MEK) and National Council of Resistance of Iran (NCRI), the main democratic opposition to the mullahs. “In America, the U.S. Department of Justice on Aug. 9 announced that two Intelligence Ministry agents of the mullahs' regime, Ahmadreza Mohammadi Doostdar and Majid Ghorbani, had been arrested and charged with spying on and plotting to assassinate supporters of the PMOI/MEK.